Here are a couple of PDF files that may be of interest to pre-grouping modellers. The first document is an 1896 article from Moore's Monthly Magazine (later renamed "The Locomotive") on British pre-grouping liveries. It includes brief livery descriptions for a number of the railways (but not all). The second document is my personal selection of quotes and news items on GWR liveries and selected other liveries from the archives of the Railway Magazine during the period 1898-1924. 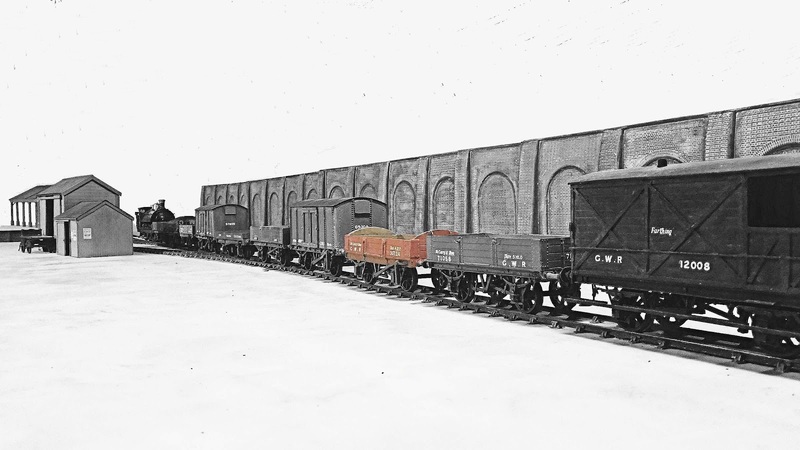 Apart from the general observations on British and GWR liveries, the documents contain two key sources for the theory that GWR wagons were red until 1904. I'm a follower of this theory, but thought I'd have a look at the contemporary sources to see for myself. I have to say though that the references to wagon liveries are very brief, and to me emphasize the very scant attention given to wagons by railway observers of the time. More generally speaking, this material also suggests to me that contemporary magazine articles are a somewhat problematic source of livery details. I can't help feeling that the livery descriptions herein seem rather subjective and not necessarily well researched. That said, the material does provide some snippets of information on various details of GWR loco and carriage liveries that I had not previously encountered. I'll leave you to draw your own conclusions. If nothing else, it all gives a sense of the ethos of the time! Many thanks to all who helped with this.